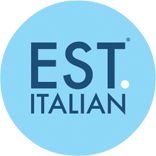 Est.Italian was founded by a consortium of local business people with a universal vision to create a friendly Italian restaurant that West Kirby could be proud of. We have a mission to create a social atmosphere that sees families and friends come together in a beautiful setting to enjoy authentic Italian dishes. Italian food and the Italian way of dining is seen as a very social activity and the team wants to bring that Italian spirit and culture to West Kirby.